Early on in her work as Baltimore City’s first food policy director, Holly Freishtat realized it would take a village – specifically a coalition of public- and private-sector interests along with innovative thinking and action – to address the myriad challenges posed by the region’s food inequity issues. Speaking to Johns Hopkins Carey Business School students as part of the school’s Carey Speaker Series, Freishtat, in a talk entitled “How Baltimore is Combating Food Deserts,” outlined the complexities faced in her position. Starting out as a contractual employee, Freishtat, who works for Baltimore City’s Office of Sustainability and has held her position for eight years, “quickly realized I can’t do this alone.” Throughout her tenure, she has continued to “think like a consultant” to approach the challenges and all the attendant constituencies, including health and human services, education and youth, economic and neighborhood development, government relations and labor, and public safety and operations. Freishtat created and oversees the Baltimore Food Policy Initiative, a public- and private-sector partnership between the City of Baltimore Department of Planning, the Baltimore City Health Department, the Baltimore Office of Sustainability, and the Baltimore Development Corporation. Its goal is to use food as a catalyst to address health, economic, and environmental disparities in healthy food priority areas, or zones, throughout Baltimore City. Commenting on the scope of the challenge, Freishtat observed that there is “no one solution” to combat obesity, illness, and other nutrition-related challenges. To that end, the Initiative developed the “Healthy Food Environment Strategy,” an eight-point plan, to address its goals. Its objectives include improving offerings of local corner/convenience stores, retaining and attracting supermarkets, supporting better food distribution networks and methods, promoting urban agriculture, and addressing transportation challenges to food access. The problem is widespread. 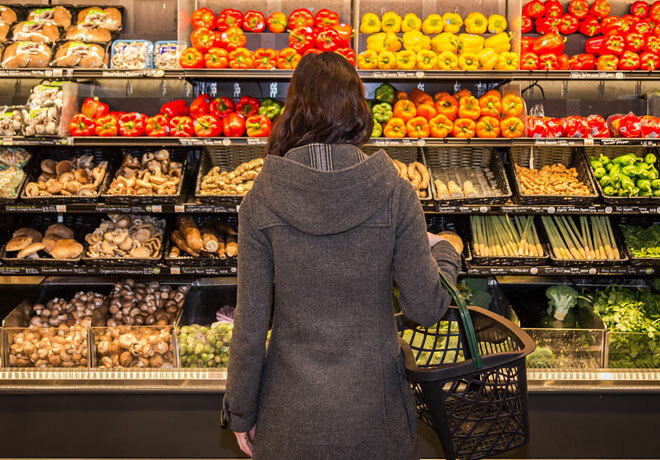 A recent report compiled by researchers at the Johns Hopkins Bloomberg School of Public Health’s Center for a Livable Future measured the state of healthy food availability in stores across Baltimore. Among the “priority areas” (identified as those at or below 185% of federal poverty level, limited or no access to private transportation, and a quarter mile or more from the nearest supermarket), food inequity affects 23.5 percent of residents, including 28.3 percent of school-aged children and 24.3 percent of seniors. Racial disparity is prevalent as well, with 31 percent black versus 8.9 percent white residents affected. Study Findings: Food inequity affects 23.5% of residents, including 28.3% of school-age children and 24.3% of seniors. In light of the research findings, “How can residents have a voice and a place of power in not only community engagement but in stepping up and having their voices heard?” asked Freishtat. This was the rationale behind the formation of the Resident Food Equity Advisors (RFEA), composed of residents from those areas of the city most impacted by food inequities. A broad-based platform of strategies and recommendations is being implemented to address the issues. These include a grocery store tax incentive (encouraging new supermarkets to locate in priority areas); a virtual supermarket geared to seniors and the disabled who face special transportation challenges; and an emphasis on good food procurement, focusing on children’s summer meals, school food, and senior meals. In addition, the RFEA recommends continued improvement of existing stores’ physical environment (cleanliness, safety, accessibility); an increase in food quality, availability, and accessibility; healthier relationships between store owners and customers through shared values and needs; and enhancing store economic resources to best serve their communities. Another critical component in the strategy is the concept and strategic execution of “food resilience,” making access to healthy food through self-sustaining urban agriculture a social priority. To that end, Baltimore now boasts 18 farmer’s markets, 23 urban farms, and 83 community gardens, with 17 of these gardens located in priority areas of the city. A key part of the food resilience approach also involves elevating food availability as “critical infrastructure” alongside public health and safety. This has been accomplished via the creation of the city’s Emergency Food Working Group, Operations Plan, and Operations Center. Notably, enhancing nutrition and food assistance by increasing summer meals, after-school meals, food pantries and meal sites, senior meals, and virtual supermarkets, and the number of stores accepting WIC (Women, Infant, Children) and SNAP (Supplemental Nutrition Assistance Program) benefits, is helping to broaden the access to better quality food and to promote healthier communities. Research has shown corner stores accepting WIC benefits have higher HFAI (Healthy Food Availability Index) scores than those stores not accepting SNAP and WIC, thereby promoting healthier, more diverse choices for their customers. Johns Hopkins, through its renowned history in health care, is deeply immersed in research, teaching, and policy issues regarding food inequity. The Carey Business School’s MBA/Master of Public Health dual degree program, offered in conjunction with the Johns Hopkins Bloomberg School of Public Health, is one such example of exploring new approaches to healthier communities, both in Baltimore and around the world. Carey students can become involved with the Baltimore Food Policy Initiative, Freishtat noted, through opportunities in research, proposal writing, data analysis, and other areas.